Homi Kharas and John McArthur propose an evidence-based, coordinated approach to ending rural hunger, prioritizing countries with high needs, good policies and low levels of resources per capita. Ending hunger is the second Sustainable Development Goal (SDG). Reflecting hunger’s multi-dimensional nature, the goal has four country-specific targets to be achieved by 2030: (i) end undernourishment, (ii) end malnutrition, (iii) double agricultural productivity of small-scale producers, and (iv) ensure sustainable and resilient agricultural practices. For each target, with the exception of sustainability, there have been improvements over the past decade, but at a speed that still leaves too many countries and the global aggregate missing the mark by a wide margin by 2030. For example, there are an estimated 795 million people in the world who are undernourished today. A business-as usual scenario would reduce this number to 550 million people by 2030 – substantial progress, but nowhere near the SDG objective of essentially zero. Roughly three-quarters of today’s undernourished people live in developing countries’ rural areas. Therefore a crucial challenge is to implement programs at scale that will transform the rural space. This requires changes in how the international community prioritizes and allocates its financial resources. Ending hunger in rural areas requires transformational change in many regions’ local food and agricultural systems. It is about more than growing enough food. It is about demand for food as well as supply of food; quality as well as quantity; an adequate diet today and assurance of one tomorrow. The Food and Agriculture Organization calculates that about half the world’s hungry people are smallholder farmer families and 20 percent are landless families dependent on farming. Therefore food security requires a particular focus on the needs of small-scale farms, including the special challenges faced by women farmers. Today there are about 500 million small farms, and they provide livelihoods for up to 2.5 billion rural people. Much of the march to end hunger will be determined by what happens on these farms. For at least 40 years, global political commitment to food and nutrition security has fallen short of the task, as have the associated reforms of policies and public investments. Attention has tended to wax and wane alongside trends in food prices. When prices spike upward, politicians come forward with new promises and commitments. But when prices subside, urgency is lost and attention dissipates. There has been too little long-term strategy or accountability. Our recommendation is to organize support around national, evidence-based programs for ensuring universal food and nutrition security by 2030. These programs can follow a straightforward logic. The first part is to collect and examine data to identify the nature of local priorities. For example, in some places the focus should be on agricultural productivity, while in others it should be on nutrition or access to food. The second part is to identify policy constraints that impede advancement in these areas. Our research suggests that better policies are an important determinant of food and nutrition security, even after accounting for region and income levels. The third part is to identify key investments that might be needed, either directly into agricultural support systems—for example in the construction of agricultural science and extension services; or indirectly toward the inputs that support agricultural markets, like rural roads, rural electrification, seeds, soil nutrients, and access to rural finance—or via support to households through rural safety nets. Again, research suggests that public investments do have an impact on food and nutrition security. The international community can support these national efforts in four ways. Second, the international community could invest more and better resources for global food and nutrition security, and do so with greater efficacy per dollar. Encouragingly, grant-based investments for food and nutrition security (FNS) have been increasing of late, nearly doubling over the last decade. Significant foreign resources for rural development are also being made available in the form of non-concessional lending and commercial foreign direct investments. South-south cooperation is on the rise too, and has significant potential.There is considerable scope to make FNS aid more effective. The highest value-for-money will come from targeting countries where the needs are large, where there is a supportive policy environment and a committed government, but where investable resources into the rural area are in short supply. High impact projects and programs can also be prioritized within countries. For examples, our research has highlighted the limited amount of aid going towards nutrition, despite considerable evidence documenting the high social returns to improved nutrition. Aid volatility is also a major problem to be addressed, since it has the potential to lead to a 20% reduction in effectiveness. FNS resources need to be committed as long-term and predictable sources of investment. Third, the international community can do more to invest in agricultural research, extension, and data systems, especially in developing countries themselves. This includes research for neglected tropical crops, for helping to make existing crops more resilient to climate change (droughts and floods), and for adapting recommendations to suit local conditions and improve uptake. There remains considerable scope for improving yields, especially of staple crops, which forms one of the surest pathways to ending hunger for the most vulnerable households. There are also too many areas where the underlying evidence remains weak. For example, there is no data for small-holder agricultural yields, despite the SDG2 target to double small-holder yields by 2030. Similarly, there is no reliable cross-country evidence on the size of food loss and waste, or even on levels of domestic private investment in agriculture. Building the relevant data systems will be crucial to inform evidence-based policies, resource allocations, and accountability. Fourth, the international community can institute outcome-oriented cooperation across relevant organizations and initiatives. Many platforms and partnerships have emerged recently to tackle these issues of markets, resources and science. A number of high-level multilateral initiatives have also been announced at major meetings of the UN, G-20, G-7, and African Union. If properly scaled and sustained, these could signify the start of long-term international leadership guiding the end of hunger. But they need to focus clearly on pathways to achieving outcomes. Fortunately, there are a number of prominent national examples to draw from, such as in Brazil and Ethiopia, illustrating how political leadership can play a crucial role in ensuring a concerted focus on results. The G20 can take a leading role in these initiatives. They have a particular responsibility for ensuring that global agricultural trade is as free and open as possible. This is a pre-requisite for the transformation of rural economies that will be needed to end hunger. Open trade requires changes within G20 in their domestic agricultural subsidy policies as well as border trade restrictions. It also involves targeted investments in things like local commodity exchanges and price discovery mechanisms, low-cost transport of products and modern seeds and fertilizers, cold storage systems to reduce food loss, and the organization of supply chains involving small farmers and women farmers. The G20 can also take on the collective responsibility of ensuring that agricultural research and data systems are adequately supported, for all crops and farming conditions. Such support is needed at the global level, as well as to strengthen local agricultural research, extension and policy evaluation services, to ensure the speedy adoption of new techniques. 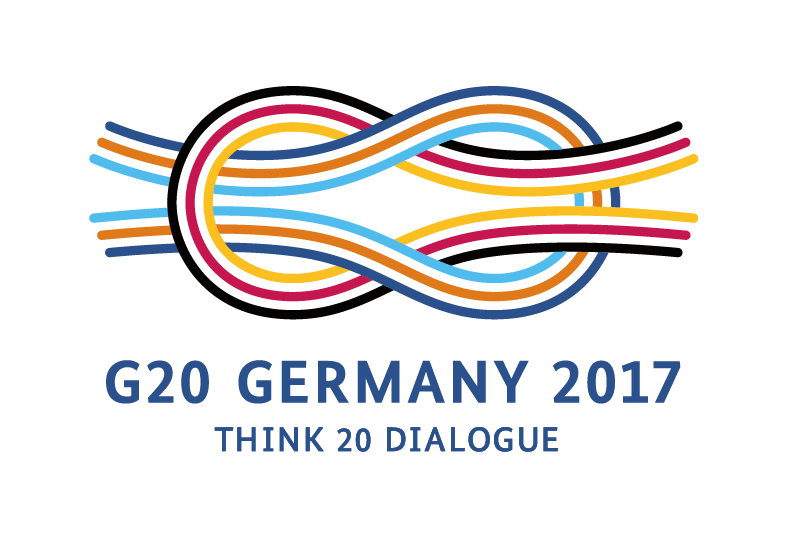 In addition, individual G20 members can do better in focusing their support for SDG2. They should report systematically on country-level targeting and the impact of interventions. Research suggests that considerable gains are possible if G20 countries prioritize on the basis of needs, policies and resources, and if resilience to climate change and attention to women farmers are built into policies and projects. Weaving these strands together will require a systematic commitment to review and follow-up, based on the best available evidence. The “Ending Rural Hunger” project and database offers one tool for assembling information on country needs, policies and resources in food and nutrition security. It provides a one-stop platform for comparative evidence. We recommend that leaders across the world make use of this and other tools to construct their FNS strategies in an informed and sustained manner. Doing so can help ensure SDG 2 is achieved within 15 years. “From Tragedy to Renaissance: Improving Agricultural Data for Better Policies.” Carletto, et. al., 2015. “Agriculture’s Role in Ending Extreme Poverty,” in The Last Mile. McArthur, 2015.